On average, we're living longer with each generation, thanks to advances in medicine, living standards and care. That means an ageing world population which brings new challenges as well as opportunities for International Standards. Increasingly, older people are asking more of their savings as they live longer and stronger. How does business need to adapt, and what role is there for standards? In the last generation a whole new consumer segment has come into being where services, products and experiences are tailored to a more experienced class of customer. Businesses, large and small, have begun to use the ageing market as a lens through which to view their strategic plans, according to the World Economic Forum report How 21st-Century Longevity Can Create Markets and Drive Economic Growth. Contrary to common negative perceptions, older adults are creating a new niche market and fuelling growth and innovation. Download this copy ISOfocus magazine for an in depth look at how major demographic shifts are presenting new challenges for ageing societies and new opportunities for standardization. The future is about creating buildings and services that work for everyone. Older people expect to be able to continue to participate in everyday life, and rightly so. But all too often the desire for independence is needlessly frustrated by poor access, bad signage, or thoughtless planning. Find out more about the challenges that societies will have to address as they accommodate the needs of a growing older population, and the role that standards can play in creating better access for everyone. If you're 28 or older today, then you're part of 1.5 billion people who will be over 65 in 2050. That's an increase of 183 % since 2010. How will cities prepare themselves for this changing dynamic. The growing average age of populations is not always a burden on society, it can be a rewarding opportunity to enrich communities and our world as a whole. Increasingly, governments and local authorities are seizing the gift of longevity to imagine social infrastructure differently – and new areas of standardization are in the pipeline ready to help. Using the latest technology to find new solutions to new challenges. The time is fast approaching where interactions between humans and artificial intelligence become part and parcel of our daily routine. A new ISO standard for the safety of personal care robots has made bold steps in this direction. It won’t be long before robots become a normal part of our everyday lives. Soon, our mobile companions will provide everything from coaching to communication to companionship, keeping us independent as we grow older. The era of human and robot interaction has begun, and it is changing the way we experience ageing. Valérie Olek, Sales Manager at mobile telephone manufacturer Doro, tells us of the brand’s desire to get ever closer to the needs of older people. Collaboration, consensus and finding shared solutions are what ISO does best. Find out more about the Technical Committees that are developing International Standards that help older people get the most from life. Societies are facing major demographic shifts, presenting new challenges to meet the wants and needs of our ageing societies. 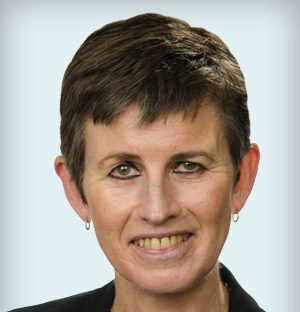 Bronwyn Evans, CEO, Standards Australia, and ISO Vice-President (finance). You can read more about the ageing opportunity here, in ISOfocus. Find out more about the ISO Technical Committees that work to develop standards for older people and ageing populations. Standardization in the field of prosthetics and orthotics, covering such aspects as performance, safety, environmental factors, interchangeability, etc.vTemporary and permanent procedures and devices are included. Priority is given to standards on prostheses (artificial limbs and auxiliary equipment).